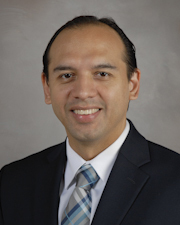 Ricardo Mosquera is a certified pediatric pulmonologist and the medical director of the UT Physicians High Risk Children’s clinic at McGovern Medical School at UTHealth. He treats pediatric patients with pulmonary diseases from infancy through early adulthood. When Dr. Mosquera is not caring for his patients, he enjoy traveling and spending time with his wife and three children. Language barriers can have dangerous consequences for children with special health care needs.